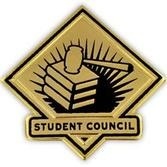 Student Council is an extra-curricular activity for students within grade schools around the world. Present in most public and private K-12 school systems across the United States and Canada, these bodies are alternatively entitled student council, student government, Associated Student Body, Student Activity Council, Student Council Association or S.C.A. Student councils often serve to engage students in learning about democracy, decision-making, and leadership, as originally espoused by John Dewey in Democracy and Education (1917). The student council helps share students’ ideas, interests, and concerns with teachers and school principals. They often also help raise funds for school-wide activities, including social events, community projects and school reform. For example most schools do food drives. Many members learn skills that were an extension of their formal education. At Browerville High School, the Student Council is responsible yearly for planning Homecoming week and planning Spring Fling week. Student council members are elected by their peers.